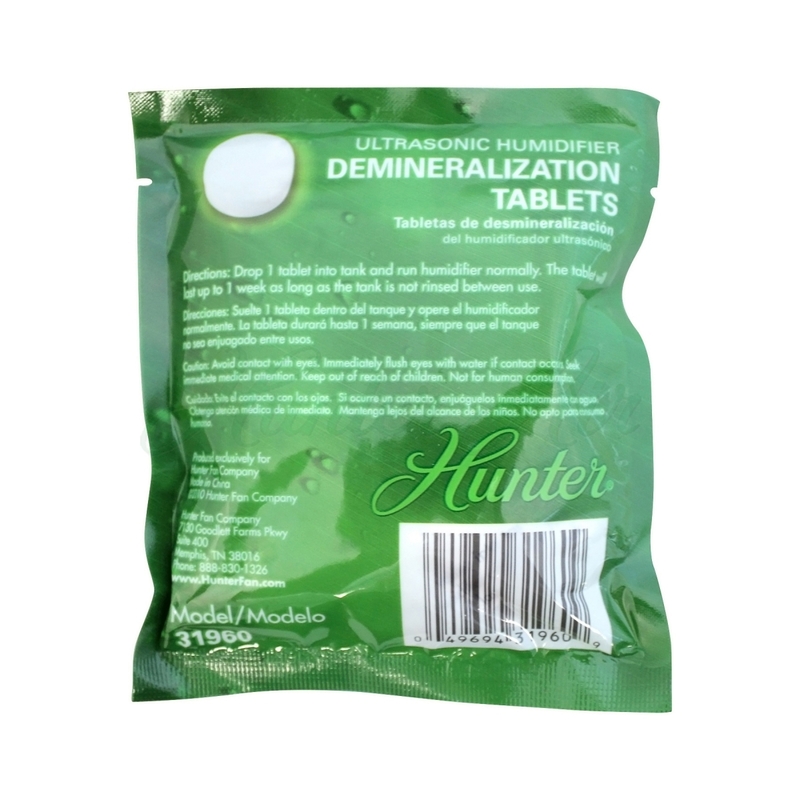 Hunter's Demineralization Tablets will purify the water in your ultrasonic humidifier and reduce or eliminate the white dust build-up, which makes it easier for cleaning. 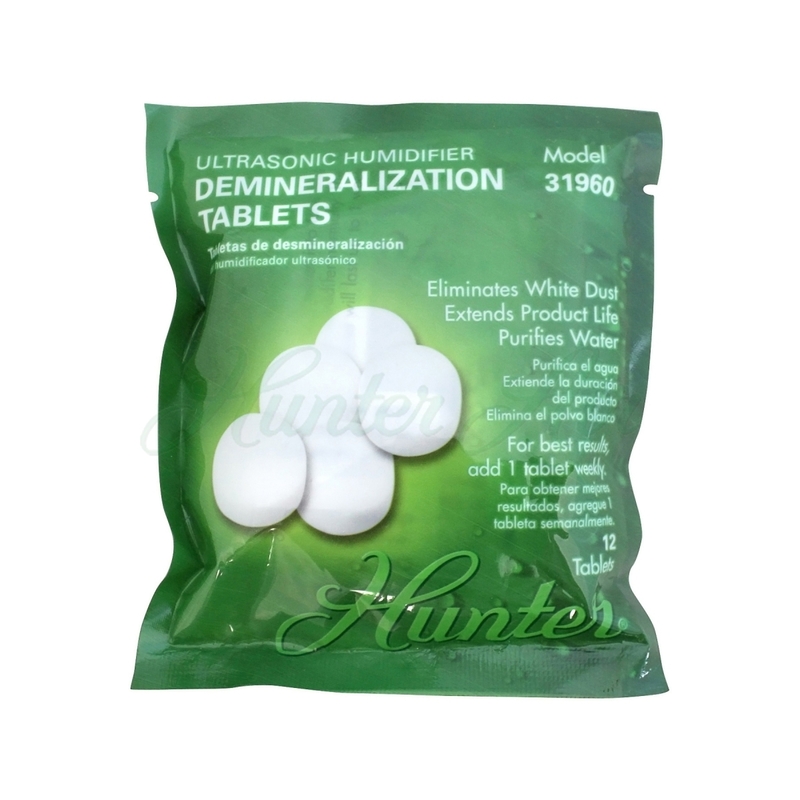 Extending the life of your unit as well as increasing the quality of moisture generated. Simply add 1 tablet each week to the water reservoir and watch it go to work. The tablets will continue to work for the entire week, even after the tank is refilled (as long as it is not rinsed out). One pack contains 12 tablets for a 3-month supply.